If you’ve been following my monthly growth reports, you’d have read about my involvement with Lovecars. For those of you who haven’t, or those who’d like to know more, Lovecars is the most exciting start-up in the automotive and car space in the world. It’s the place to be for people who, well, love cars. It fosters a community for car enthusiasts to equally share and gain information, as well as connect with like-minded people. The team has been working on the platform, database, and social profile of the brand for the past several years. You can read the full press release by clicking here. My partner Andy and I personally joined the Lovecars team a year ago and were appointed managing directors in August this year. Ever since, we’ve been busy working with our amazing team of talented individuals in order to get the platform ready for its launch. 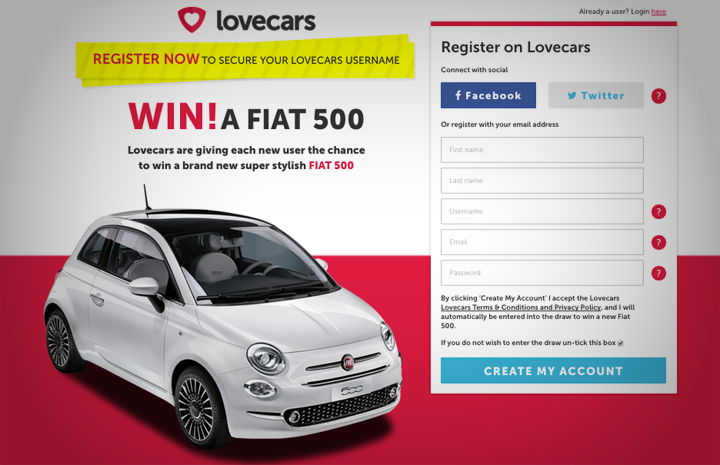 Although the full launch is some time away, we wanted to hold a pre-launch competition whereby users could easily sign up and snap up their desired username along with getting the chance to enter our competition to win a brand new Fiat 500. Let’s face it, if you can sign up now and get /yourname instead of in two years’ time registering /yourname1234 and also get a chance to win a car, why wouldn’t you right? So on Monday of this week, we kicked off our pre-launch competition! Now although we’re working with an incredible team of talented developers, we didn’t expect what was going to happen! As you can read all about on this post here, we were hit with an unprecedented amount of sign-ups and traffic which actually took the platform momentarily offline. It’s incredible to think we’re only just beginning and we already have some of the BIGGEST names in the industry supporting us, along with thousands of members who have already secured their spot on the platform. We will now spend the next several weeks maintaining the site, whilst ramping up the exposure and getting the word out about the pre-launch. We’ve already had many manufacturers sign up and claim their spots such as Ferrari, Pagani, Tesla, and Maserati, and we also have some more incredible endorsements and influences behind us. If you love cars and want to sign up, you can do so here. 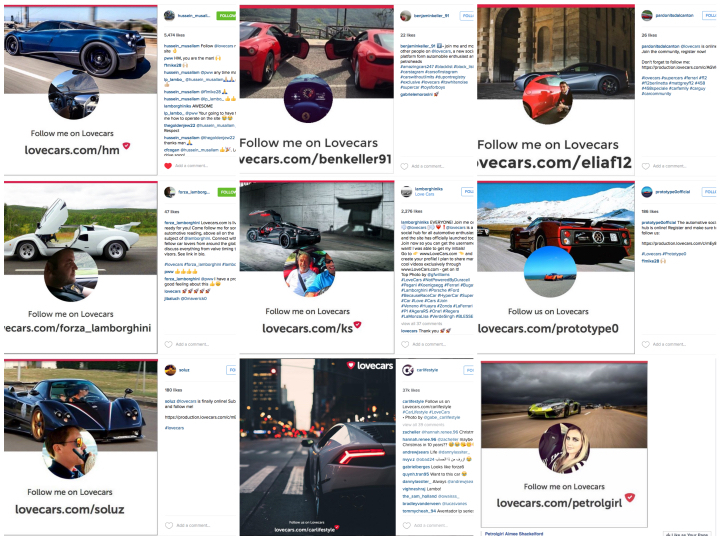 Don’t forget to follow me on Lovecars and to connect with our social profiles in order to stay up to date with the competition and launch. More exciting Lovecars news and statistics coming very soon!